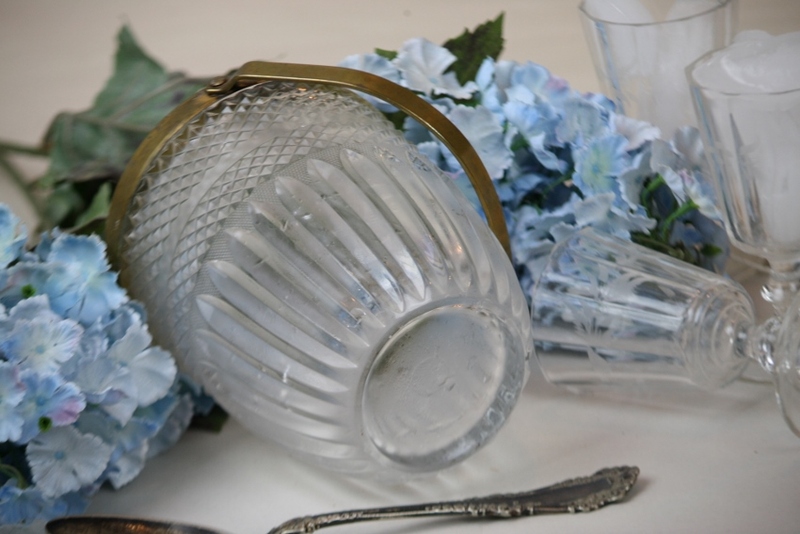 barware | Cape May Antiques Inc.
Vintage Elegant Happy Hour for 2! So you have had a long day and it’s finally quitting time! You rush home to enjoy a little relaxation time with your best bud (aka hubby, friend, cat or dog, I’m sure I’m leaving others off the list so my apologies). Treat yourself to a pretty scene! 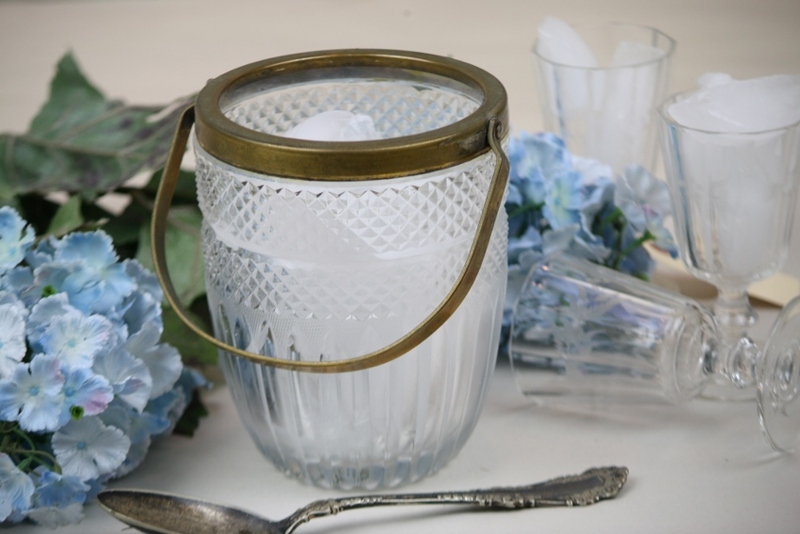 This is a great vintage glass ice bucket, small scale, thus for 2! 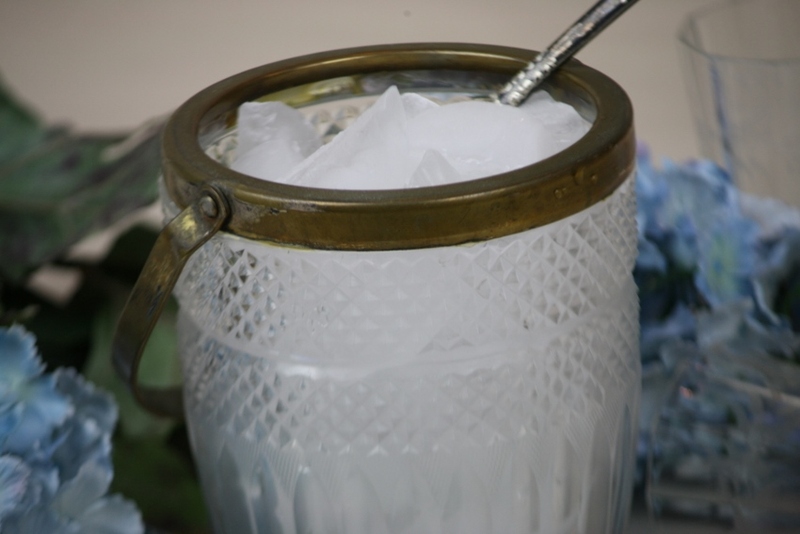 It still holds plenty of ice for a happy hour treat and of course can be used for parties etc but in our hectic lives, I like to emphasize you treating “you” nicely! See. 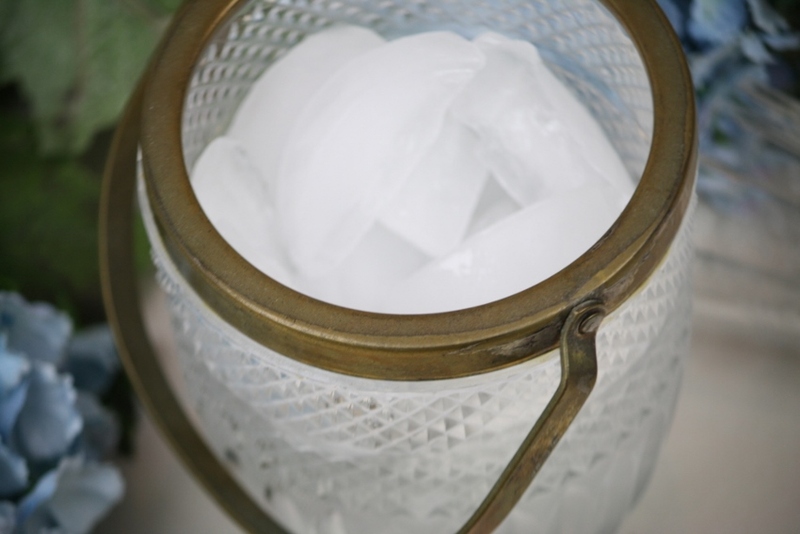 Holds plenty of ice! Great detailing and lines with a pretty gold metal trim on the rim and for handle. I love to set this up in my bar area with some easily accessible glasses, stirrers etc. So pretty in a silverplate tray or even tole tray. Ready to go when you come home! This doubles nicely as a fresh flower vase too! So, I hope I have inspired you to treat yourself to a pretty happy hour instead of one standing up in your kitchen beginning to cook dinner! Relax, take the time to enjoy and unwind!